Every healer knows that having your UI and Raid Frames be functional for you, is a priority. A clean and functional UI is something I obsess over. So, the first thing I needed to do was purge my old UI, and really think about what AddOns I actually USED. There are some mods out there, that I simply do not like or use – read: Clique, Healbot, and Grid. Here is what I came up with. 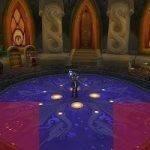 All these work with 3.0.X versions of WoW, and thus will require minimal tweaking once Wrath launches- which is key. Deadly Boss Mods – Pretty much a must have for anyone who plans on stepping foot into any raid. ORA2 – fantastically handy for raiders, and raid leaders. Keyword inviter, auto promoter, MT management, Rez monitor, Cooldown monitor, the works! Quartz – customizable castbar mod, self, target, target of target, you name it. Dominos – Bar mod, the new Bongos. Recount – Healing and Damage meter. 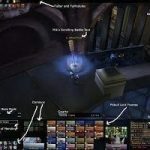 Provides charts and data for spells used, overhealing done with each spell, real time raid HPS/DPS graphs. Fantastic. 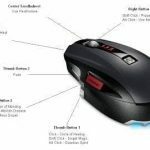 InstantHealth – Must have for any healer. Fantastic mod that reads the combat log to update raid frame HP, doesn’t wait for the server to push the HP back to the client. Provides quicker results and every healer knows that “Oh, I just missed that heal” on their target can literally be a fraction of a second. PitBull – Unit frames mod. If you do any UI customization having something that does this for you is a near must have. I actually make up my own “customized” version of “Grid” using the Pitbull raid frames. Squeenix – Map mod, provides mobility and customization of the map. Cleaner UI = happier priest! 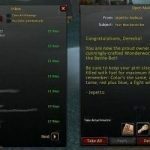 BigBrother – A raid leader’s best friend, lets you know who broke CC, who doesn’t have what buffs or consumables. eePanels – Mod that allows you to create shaded blocks that provide a cleaner more aesthetic look. 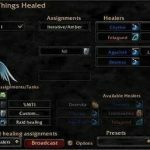 GettingThingsHealed – Healing Assignment mod with !whisper assignment reminders, announces D/Cs & Deaths of healers as well as their assignments. Fantastic interface. FuBar – Mod that allows you to have easy and organized access to your other existing mods, further it also provides valuable information on the bar itself, through small and resource light addons. – DurabilityFu: Displays durability, cost to repair at all reputation levels, and has an auto repair feature. – ExperienceFu: XP per hour, session, and time to level calculator. 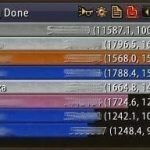 – MoneyFu: Gold earned per hour, session, and total gold across all toons.